Candles and kerosene lamps are now articles of the past for the residents of Balot Island, Purok Mangga (populary Balot Beach), and Purok Inuman in Brgy. Paril, Kalamansig. What used to be an elusive dream for them who are mostly from the Manobo and Tausug tribes has finally become a reality as their request for electrification was heed and granted. Thanks to SUKELCO (Sultan Kudarat Electric Cooperative) Inc! 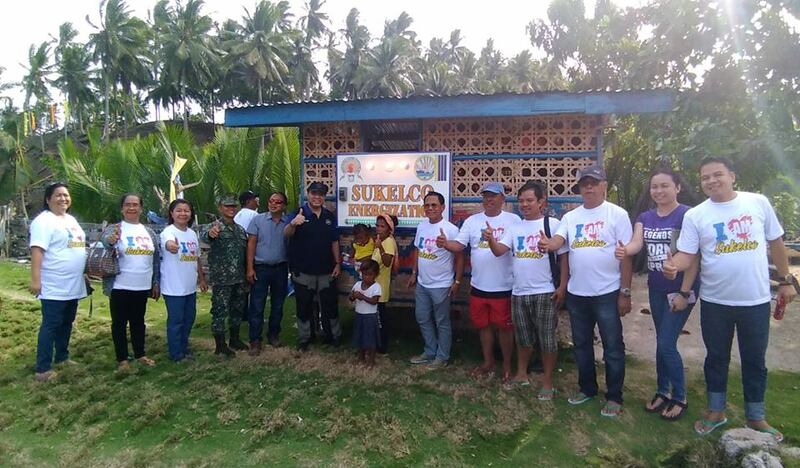 On June 8, 2018, residents of the said communities gathered at Balot Island for the much-awaited Lights-On and Energization Ceremony. The historic energization activity was spearheaded by SUKELCO's board of directors' President Akmad Mamalinta, PhD, General Manager Claudia A Pondales, CPA, and Area 3 Manager Remil Fuyonan. Also present during the affair were Mayor Ronan Eugene Garcia and Vice Mayor Rolando Garcia of LGU- Kalamansig, Brgy. Captain Talapian of Barangay Paril, and Lt.Col. George Garcia, the new commanding officer of Marine Battalion Landing Team 2 stationed in Kalamansig. "We would like to improve the lives of the residents here. The electricity, we hope, will give them a brighter future" said General Manager Claudia A. Pondales in her message during the activity. Considered as one Kalamansig town's tourism gem, Balot Island is known for its white sand beaches, and was described as one of best places in SOCCSKSARGEN to go diving. "This has long been our dream. We are happy that we finally have electricity here in Balot Island" said resort owner Myra Sandayan. "This electrification will change a lot of lives in Balot Island especially the Indigenous Peoples as we are looking forward for more tourists to visit our place as a result of this development" she added. "Dahil sa pagkakaroon namin ng kuryente di na kami mahihirapang mag-aral lalo na sa gabi. Maraming maraming salamat SUKELCO!" said 14-year old Joemar from Purok Inuman. "This electrification will change a lot of lives in Balot Island especially the Indigenous Peoples as we are looking forward for more tourists to visit our place as a result of this development"